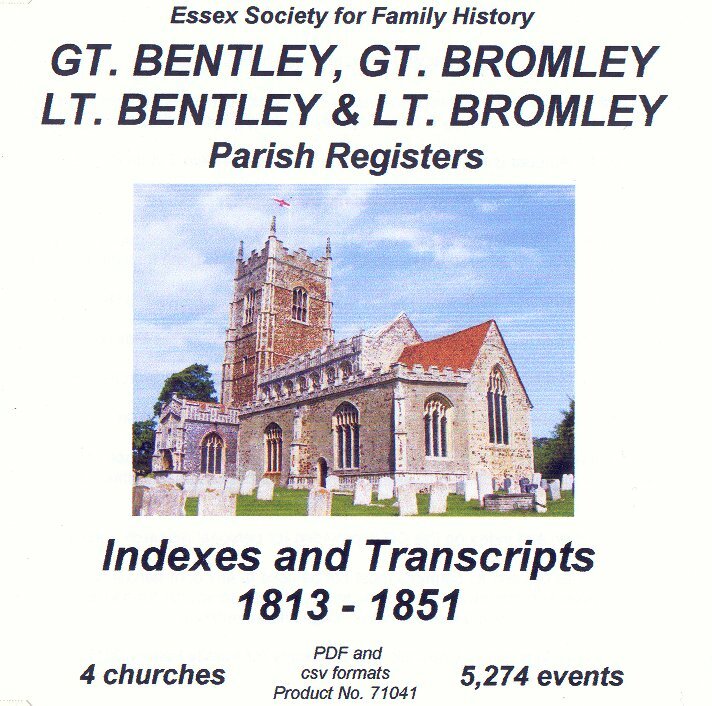 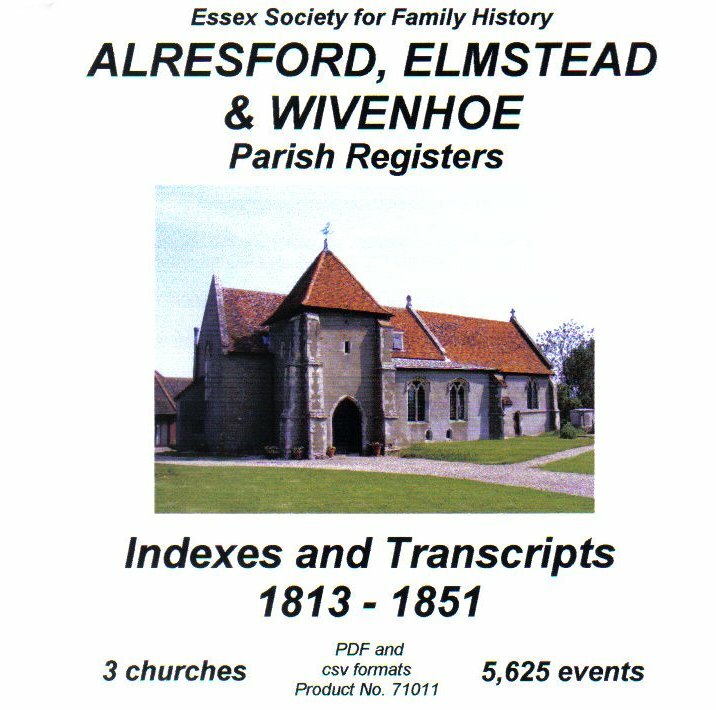 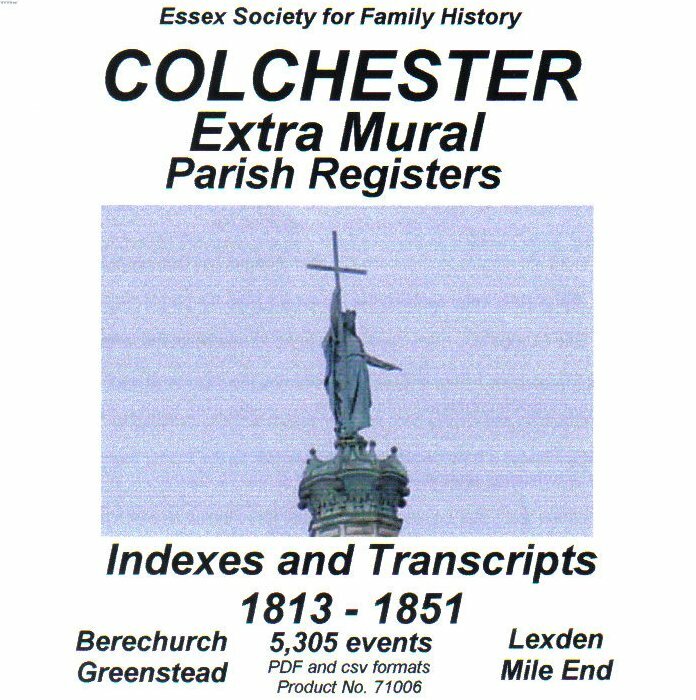 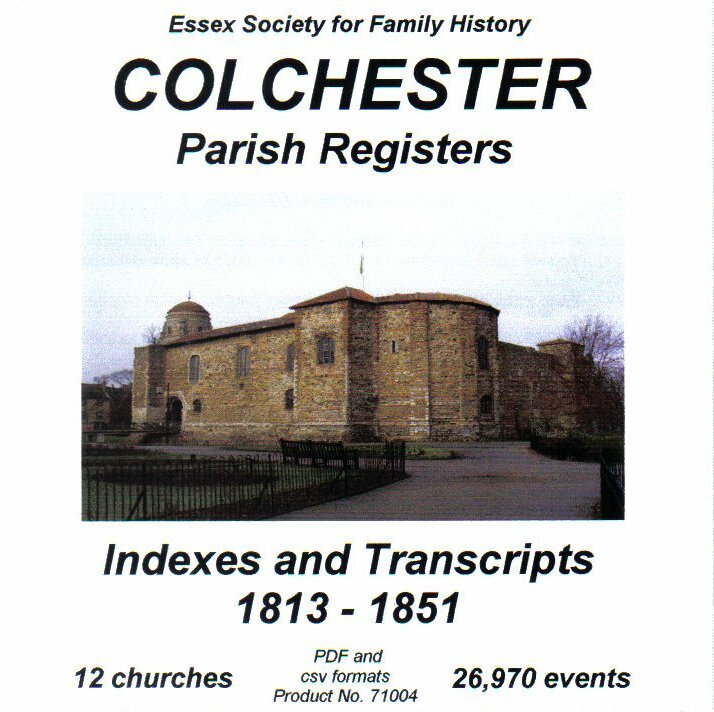 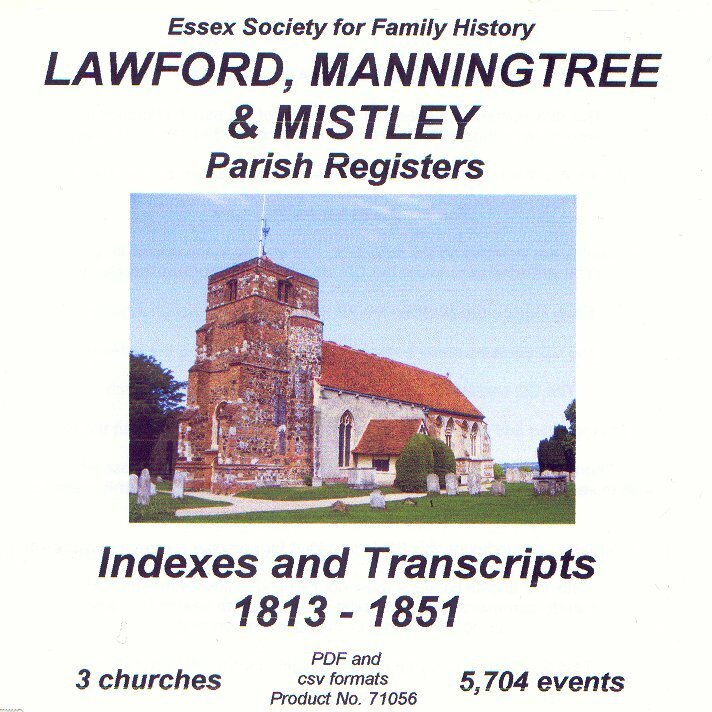 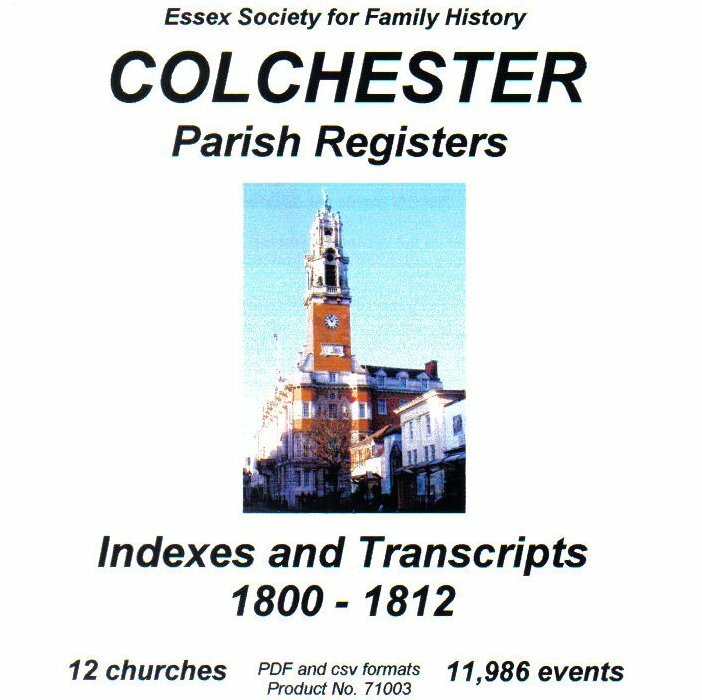 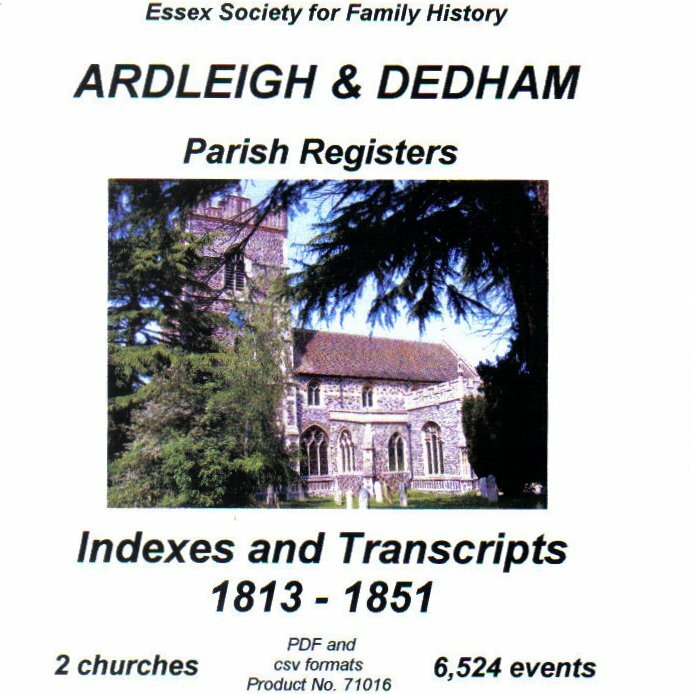 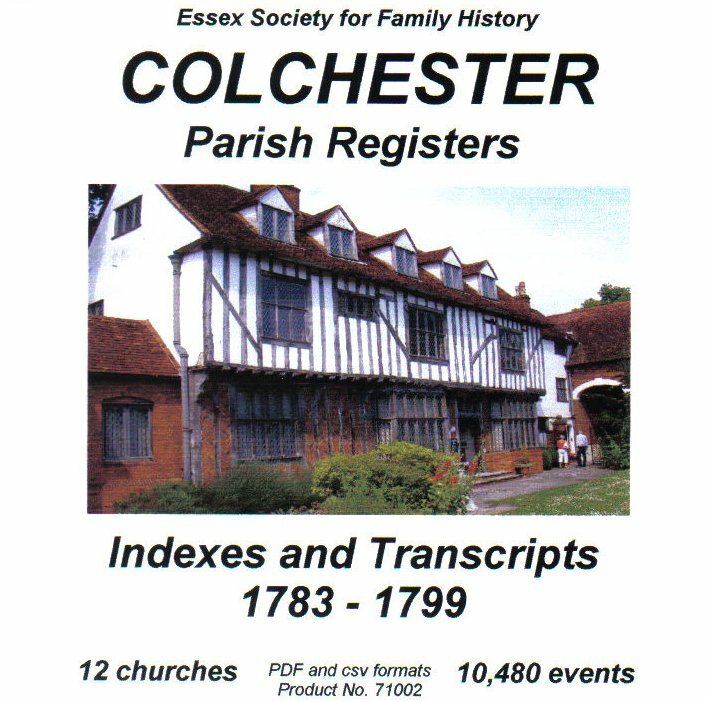 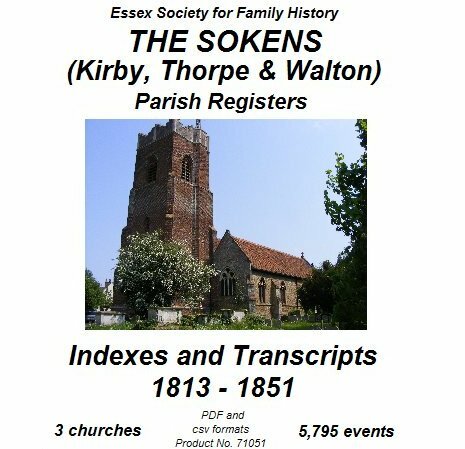 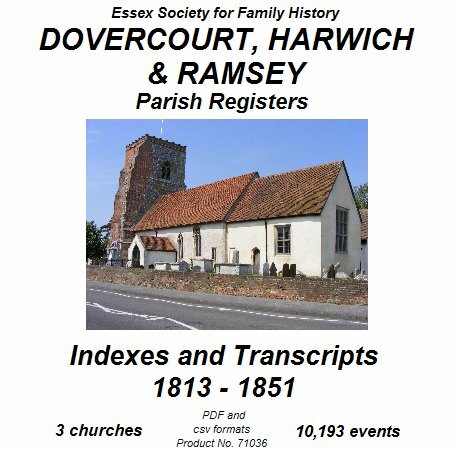 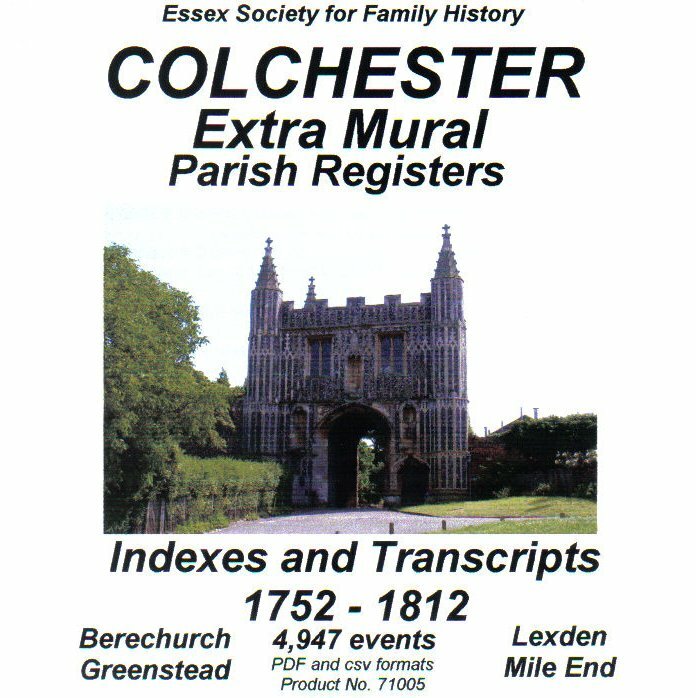 An index and transcript of the Baptisms, Marriages and Burials recorded in the registers of the four Colchester parishes outside the old walled town of Colchester comprising Berechurch (aka West Donyland), Greenstead, Lexden, and Mile End (aka Myland) The data is supplied in both .pdf and .csv formats. 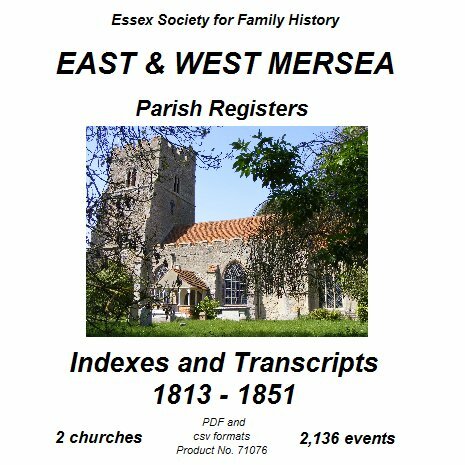 Indexes & Transcripts of all Baptisms, Marriages and Burials at East Mersea St. Edmund King & Martyr; and West Mersea St. Peter & St. Paul. 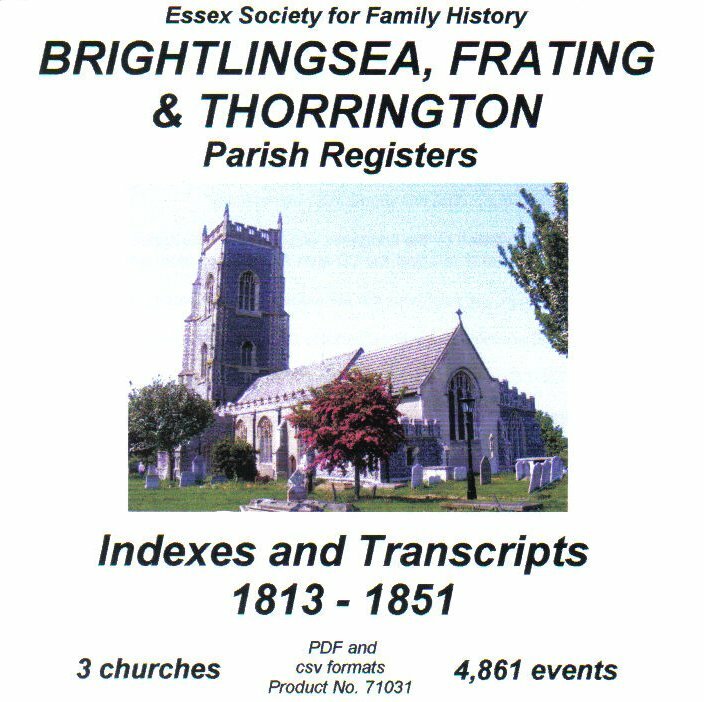 The marriage registers for East Mersea 1813-1837 were lost in flooding in the 1950s. 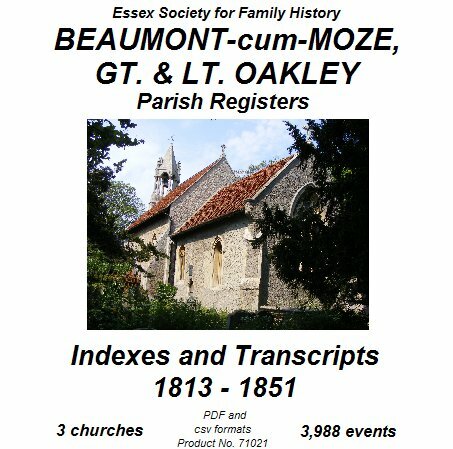 Details of one marriage for this period have survived in the Bishops Transcripts and is included on the CD. 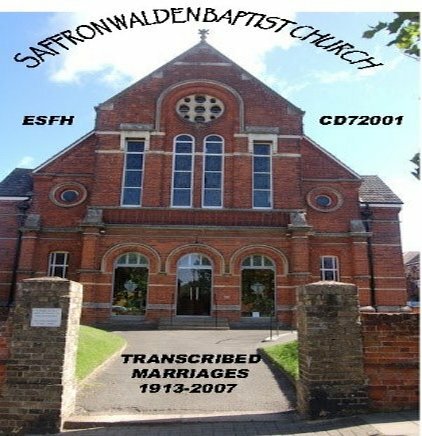 A Transcription of Marriages at Saffron Walden Baptist Church. 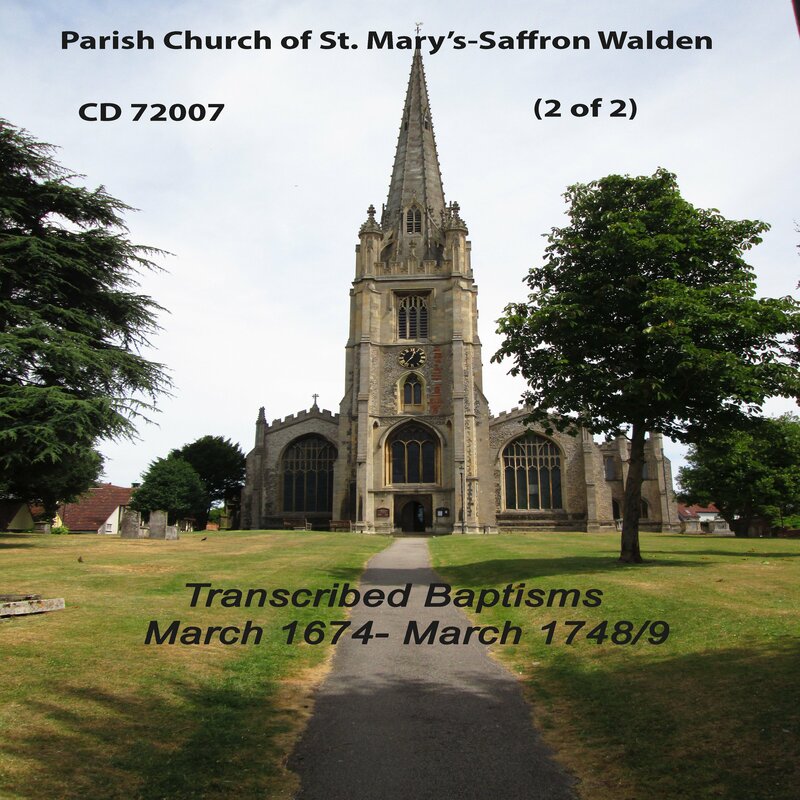 Indexes & Transcriptions of Baptisms at Saffron Walden St Mary. 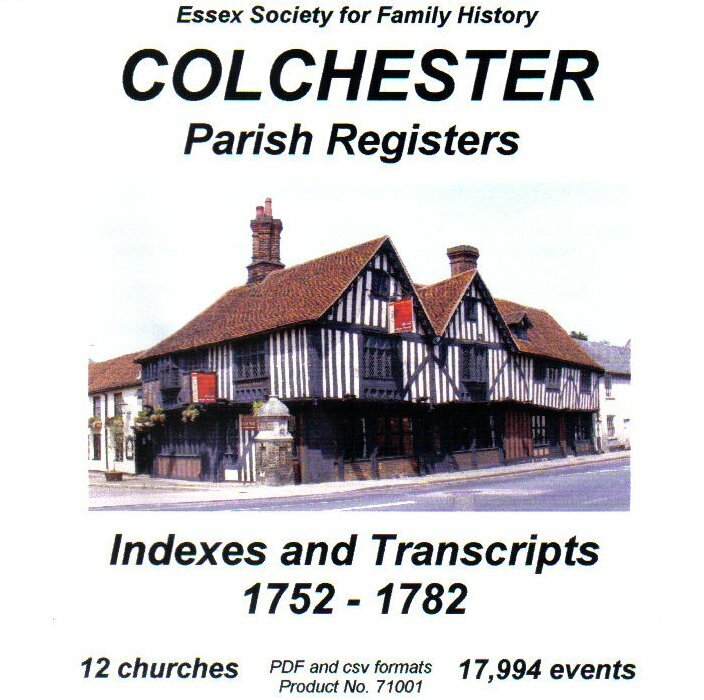 The data is supplied in both pdf and html formats.